3rd Annual PUTTING FORE A CAUSE Presented by FLATIRON. 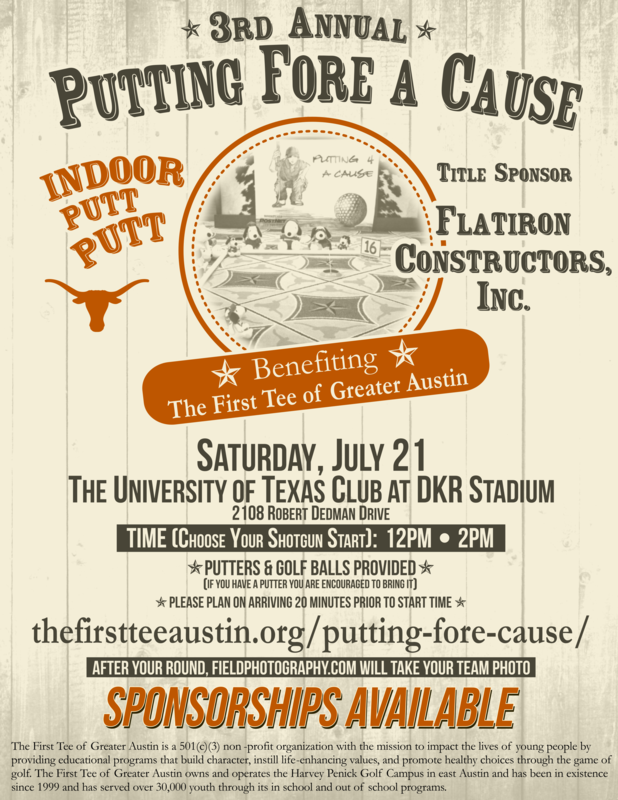 Indoor Putt-Putt benefiting The First Tee of Greater Austin, Saturday July 21st. At The University of Texas Club at DKR Stadium. - Your name or company name will appear in the Buffet/Food area. - Includes event signage, promotion on the First Tee of Greater Austin website for a year. This allows you to sponsor a child if you can't make it out to the event but want to contribute.